Cadillac Ranch in Amarillo, Texas, has spawned a lot of imitators. You can also find Combine City, fourteen half-buried Combine Harvesters, in Amarillo; Slug Bug Ranch, a collection of Volkswagen Beetles, in Panhandle, Texas; and there was once an Airstream Ranch near Orlando. 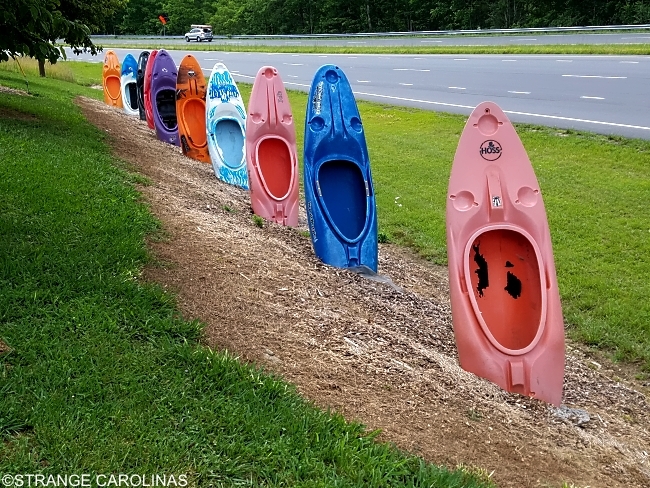 But Bryson City, North Carolina is the only place you'll find Kayak Ranch. 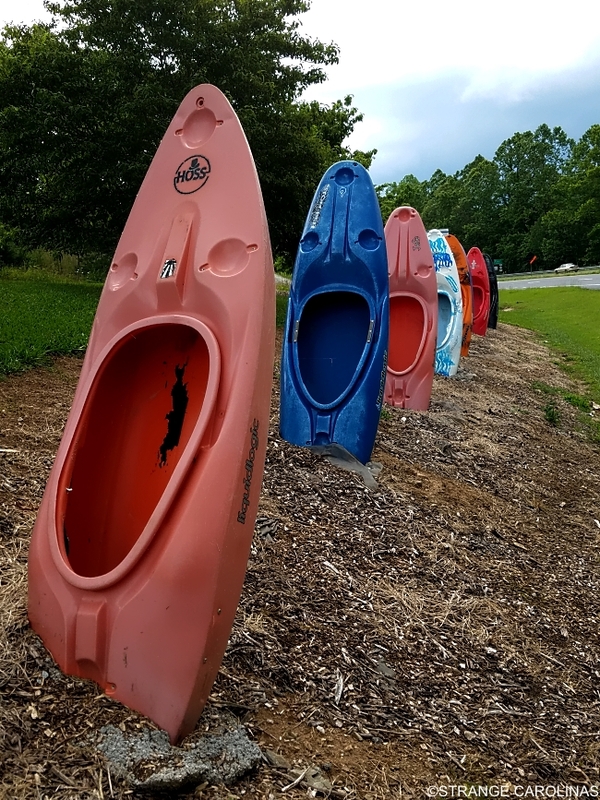 Kayak Ranch can be found in front of Southwestern Community College and according to its Facebook page, "Kayak Ranch was conceptualized by Paul Wolf, the Program Coordinator of the Outdoor Leadership Program. 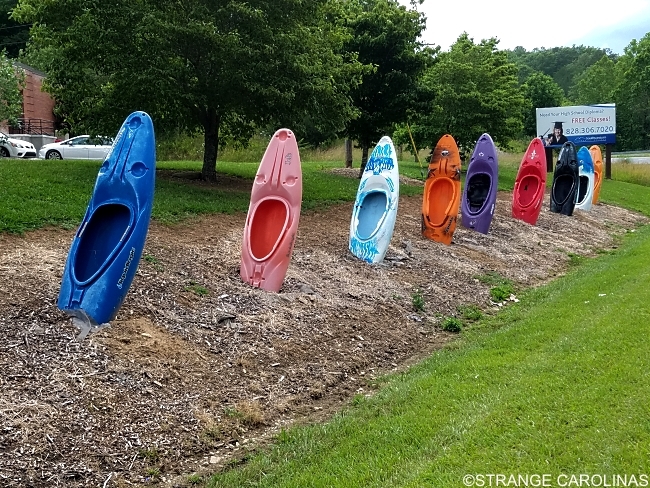 It was built as a collaborative effort between Fine Arts and Outdoor Leadership students at SCC and Brian Kane, the Program Coordinator of the Associate of Fine Arts degree."